Flood insurance has been one of the more challenging products to develop for the industry. Flood risk changes due to climate variations as well as land use change, including increasing development and exposure in areas "protected" by dams and levees. Further, in many cases, recognizing that this is a spatially correlated risk, and only those exposed are likely to purchase insurance, governments have offered structural solutions for flood control, emergency response services, and mandated flood insurance for those exposed while subsidizing the insurance rates. This trend is changing as environmental considerations are limiting the development and/or replacement of new dams and levees, and the financial burden on governments is leading to a call for private sector involvement. Aging dams and levees, especially those that have not received adequate inspection and maintenance emerge as a new threat for flood risk, since they could potentially fail when exposed to hydro climatic events that may be much smaller than what they were designed for. Cascading failures of a series of these and related infrastructure elements (e.g., power plants, bridges, highways, water and wastewater treatment plants) could lead to unprecedented hazards and losses along river corridors. These losses include immediate damage to life and property as well as potentially longer-term loss of access to water supply, flood control, electricity and transportation services, and associated remediation and reconstruction costs. The physical and financial assessment of such risks and their pricing into an investment or insurance portfolio, considering the spatio-temporal correlation in climate factors across a river network and across a country such as the United States so far has not been done. Identify rainfall trigger events that may induce failure, of one or more dams/levees, including their space-time structure, nominal recurrence interval, causal mechanism and changes in its temporal frequency and hence in the recurrence interval. Quantify exposure of infrastructure and assets in terms of short- and long-term loss given the event, and existing or projected use of the resources impacted. To an extent, these are disjunctive research questions and modeling challenges, with their distinct knowledge gaps. However, a clear, modern approach to the collective challenge, including considerations of uncertainty propagation and temporal variability across these three linked challenges is not available. This research proposes to develop and test such an approach focusing on the identification of appropriate existing methods and executing innovations needed to develop a formal strategy for financial risk estimation. The goal of this research project is to develop and test such a framework for rapid, scalable applications over many regions for a preliminary ranking of the priority areas of concern, and also for detailed region-specific applications. The intended application is for a portfolio level risk analysis by investors, asset managers, and insurance providers. Elements of the analyses and tools developed could indeed be used for detailed analyses of specific assets. However, the intention is not to do a detailed analysis of risk for a specific asset. Rather, we will develop general climate risk exposure tools that can be used to assess risks across a portfolio of dams to answer the question of what is exposed below them, to identify the critical climate factors contributing to the failure and the associated return period and expected loss. Thus, the contribution is targeted towards the financial risk management sector, and spatially correlated risks and impacts are of primary interest. Dr. Upmanu Lall is the Director of the Columbia Water Center and the Alan and Carol Silberstein Professor of Engineering, and the Chair of the Dept. of Earth & Environmental Engineering at Columbia University. He has broad interests in hydrology, climate dynamics, water resource systems analysis, risk management and sustainability. He is motivated by challenging questions at the intersection of these fields, especially where they have relevance to societal outcomes or to the advancement of science towards innovative application. His current research covers 3 major initiatives that are developed through the Columbia Water Center. The Global Water Sustainability Initiative addresses global water scarcity and risk. The Global Flood Initiative is motivated by the need to predict, mitigate and manage floods at a global scale recognizing their climate drivers, and supply chain impacts. America's Water seeks to develop sustainable water management and infrastructure design paradigms for the 21st century recognizing the linkages between urban functioning, food, water, energy and climate. These programmatic initiatives are backed by research on systems level modeling of hydrology, climate, agronomy and economics. 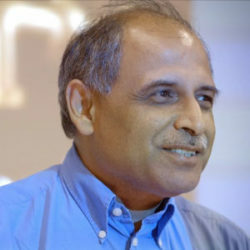 Dr. Lall has pioneered the application of techniques from (a) nonlinear dynamical systems, (b) nonparametric methods of function estimation and their application to spatio-temporal dynamical systems, (c) Hierarchical Bayesian models, (d) systems optimization and simulation and (e) the study of multi-scale climate variability and change as an integral component of hydrologic systems. He has published in journals that focus on hydrology, water resources, climate, physics, applied mathematics and statistics, risk, economic development, policy and management science. He is the current editor-in-chief of the journal "Water Security". He has been engaged in high level public and scientific discussion through the media, the World Economic Forum, and with governments, foundations, development banks, and corporations interested in sustainability. He has served on several national and international panels. He was one of the originators of the Consortium of Universities for the Advancement of Hydrologic Science, and is a past President of the Natural Hazards Focus Group of the American Geophysical Union. He is a Fellow of the American Geophysical Union, a Fellow of the American Association for the Advancement of Science, and was awarded the Henry Darcy Medal by the European Geosciences Union, and the Arid Lands Hydrology Award by the American Society of Civil Engineers.